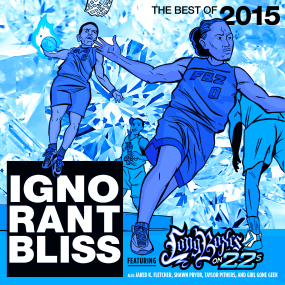 Ignorant Bliss 50: Shawn Pryor and the F.O.R.C.E. Here we have the 50th episode and the guest is my homie, Shawn Pryor. I’m talking to him about the release of Cash + Carrie, the release of the book Kentucky Kaiju and his new Kickstarter for F.O.R.C.E. – a football comic series. Along the ways, we also talk about music and pop culture in general plus working cons and selling comics.